We explored ways that could make it accessible for Laurentia, but I also wanted to give the school community participants themselves an experience of the music and an open discussion about the journey of discovery Laurentia is going through. With the support of The Sobell Foundation and Decibel’s project ‘Making Music through Technologly’ it was decided that by doing music workshops I would teach participants all about dressage and freestyle dressage and the remarkable achievements Laurentia has accomplished to date. 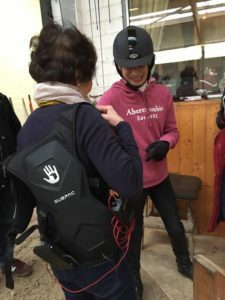 Since that Laurentia feels that riding in the arena is not accessible acoustically for her, we began exploring the use of Subpac. This is a body worn vibrating vest that is connected wirelessly to audio output, meaning that wearers are free to move around whilst picking up vibrations. I wanted to test this to see if this made a difference to the performance. I was really proud and excited to be working at Stoke Mandeville Combined School in Aylesbury where there is a unit for Deaf Children. I also visited Manor Green School, a specialist school for Special Needs teenagers. They were all great! We started with learning rhythm and pulse, clapping beats, circle time in 2,3,4 and the differences in horse movements – halt, walk, trot, canter and gallop. We all then transferred this knowledge into written notation which they understood very well. The next part is testing out the subpac. A lot of the participants have never heard or seen one of these fantastic pieces of equipment. When they put it they were shocked and excited by the strong thumping beats on their body. The bottom part is where the bass beats could be felt and the top part conveyed the high pitches. I worked with Christopher Bartholomew who is a music tech expert also in the dressage project – we had fun with playing different tracks and the voice changer. The amazing thing about the Subpac is that while it vibrates strongly across the back, it does so in silence. So the audio output comes out while its being heard, the wearer is free to move around and feel the vibrations of the music. The videos here shows the student’s reactions to the Subpac. The videos here shows Laurentia trying the Subpac for the first time and hearing her dressage music. Her face lit up. 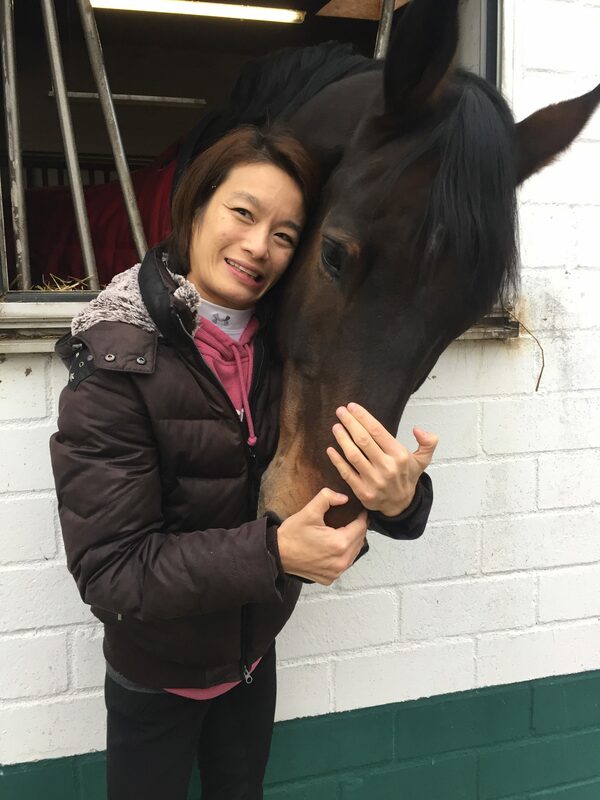 The composer Tom Hunt who writes for freestyle dressage then tries it out, to understand the challenges she faces when it comes to hearing music while performing on her horse and to feel the music too. As a musician myself, I felt very strongly that music must be learned and understood through reading, physically playing via instruments or clapping as opposed to the general assumption that vibration is the most important thing to access music for deaf people. It is not. Vibrations are just one small part of music – it is important to understand everything else that goes with vibrations. This is where Deaf musician Dame Evelyn Glennie CBE comes in. In Tom Hunt’s composition that was originally written on the computer, the piano is recognised as the ‘beef’ of the score. Tom made an arrangement for the marimba, Evelyn’s instrument to perform it. Evelyn then worked with Laurentia, explaining the subtleties of music such as ‘hot’ ‘cold’, the emotions and seeing the tempo and such when performing it. Laurentia learned to read music and followed the structure of the composition. The marimba version was recorded and transferred onto the subpac, ready to be worn at Laurentias dressage practise session in Germany. The main thing was the outcome of the project. 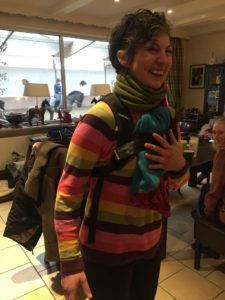 Did the Subpac excite Laurentia as it did for the participants who took part in the workshop? I had to ask everyone what they thought and would it work? 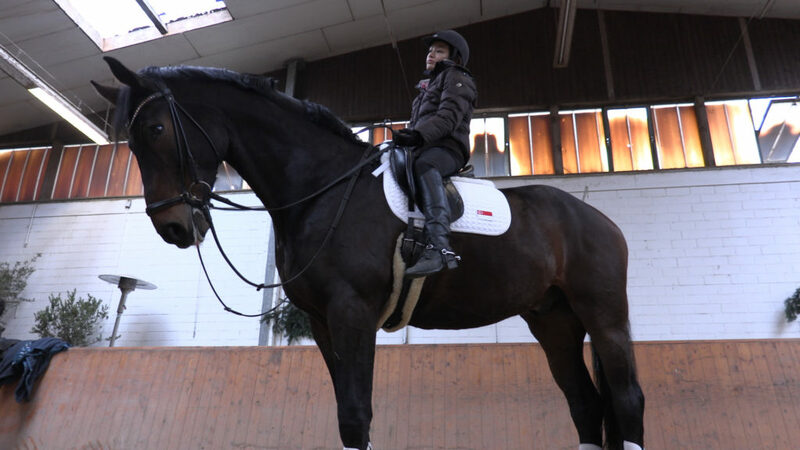 In Germany where Laurentia’s horse Sherlock resides, the judge who assessed her freestyle dressage performance gave her a much higher score when she was wearing the subpac. 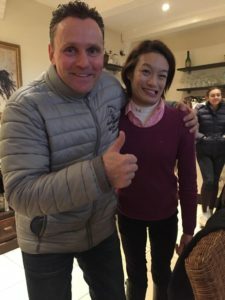 Her coach Volker explained that her timing was really well paced with the horse’s movements which is a recipe for future success as explained in the video below. This R&D finished on high, and gave us room for future developments and exciting realisation that technology is the way forward in terms of accessibility and scope to develop it further. Future investment would benefit and open doors to future deaf dressage riders to the world games and other international competitions. I also thank the ideas and the involvement of the young people in this project too. 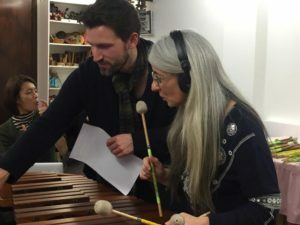 Generously funded with thanks and appreciation from Arts Council England and The Sobell Foundation, supported by Deaf Explorer (Alan McLean and Rachael Veazey), Decibels UK via Ken Carter, Evelyn Glennie HQ and Eubel Volker at Dressurstall, Lerchenhof. Thanks also for the support and involvement of the teachers at Stoke Mandeville School, Aylesbury and Manor Park School in Berkshire.